Availability: This product is discontinued and no longer available for purchase. For alternatives browse our Tennis Balls department. The tournament Price Futures tennis ball, sold in one dozen, is of a superb quality, suitable for all tennis court surfaces and with proven high durability. Once again, Price has proven their expertise in tennis equipment by designing a tournament tennis ball approved by ITF, FFT, OTF and USTA. 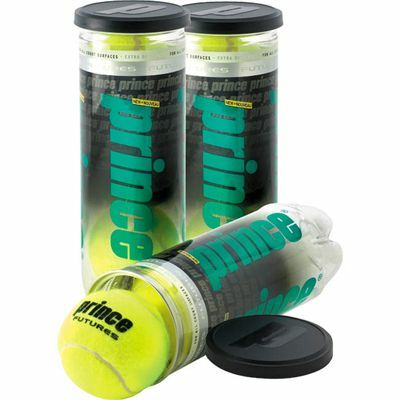 for submitting product review about Prince Futures Tennis Balls - 1 dozen.